Drummer for Led Zeppelin who was named the best drummer of all time by Rolling Stone in 2011 and again in 2016. 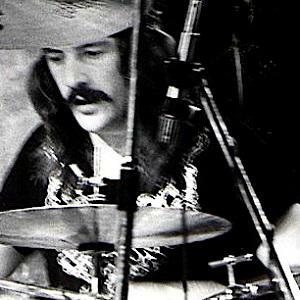 He played with Led Zeppelin from 1962 until his untimely death by accidental alcohol overdose in 1980. He made a drum set out of coffee tins and other containers when he was young. While with Led Zeppelin, he also played with groups like The Family Dogg and Screaming Lord Sutch. He married Patricia Bonham in 1968 and they had two children together. He was in Led Zeppelin with Jimmy Page.